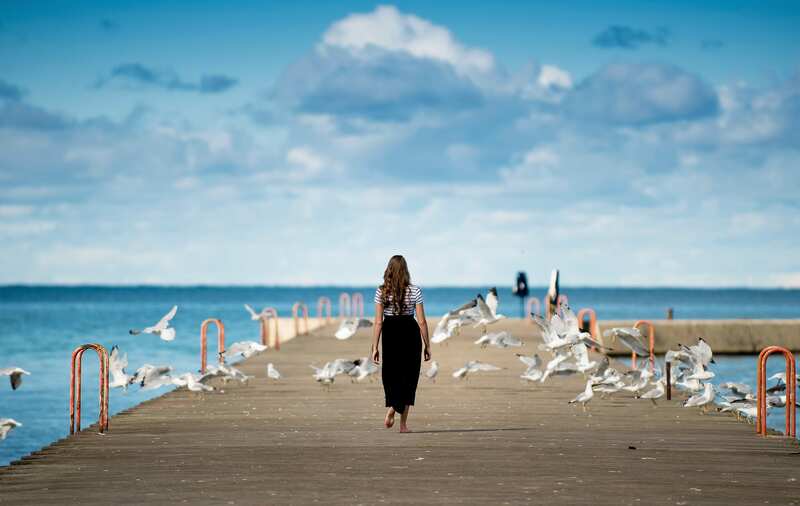 Sometimes, well, you just need to shake things up a little. 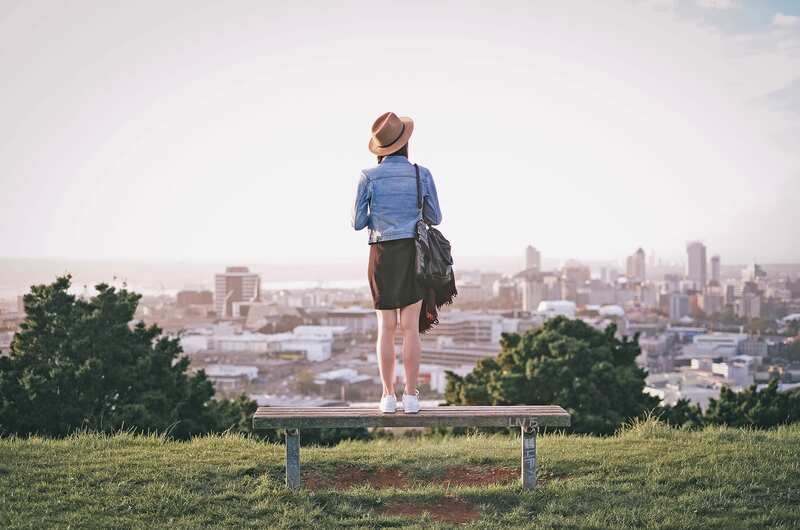 Isn’t that why you love to travel? This time I’m not talking about travel destinations. Rather I’m talking about your travel wardrobe. Specifically, packing some skirts instead of the usual roundup of jeans, shorts, and travel pants. 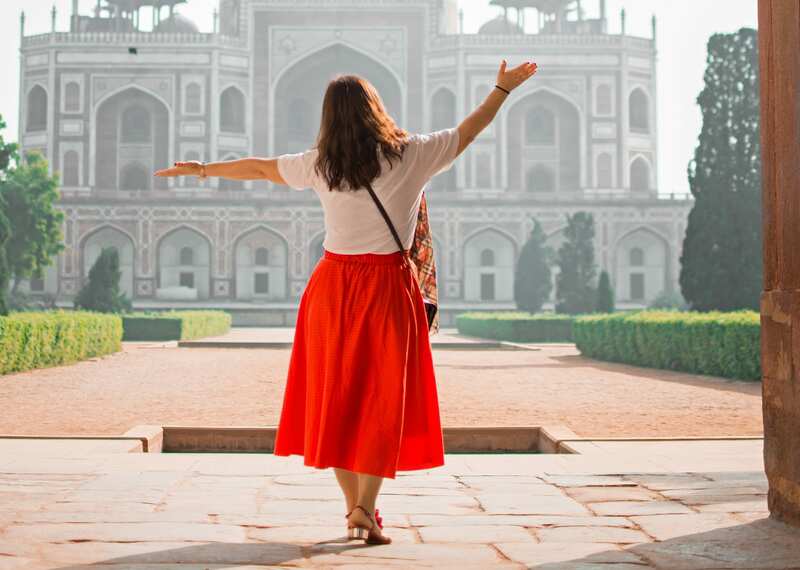 If you’re ready to change it up — or you already love traveling with a skirt — here are the best travel skirts for women. 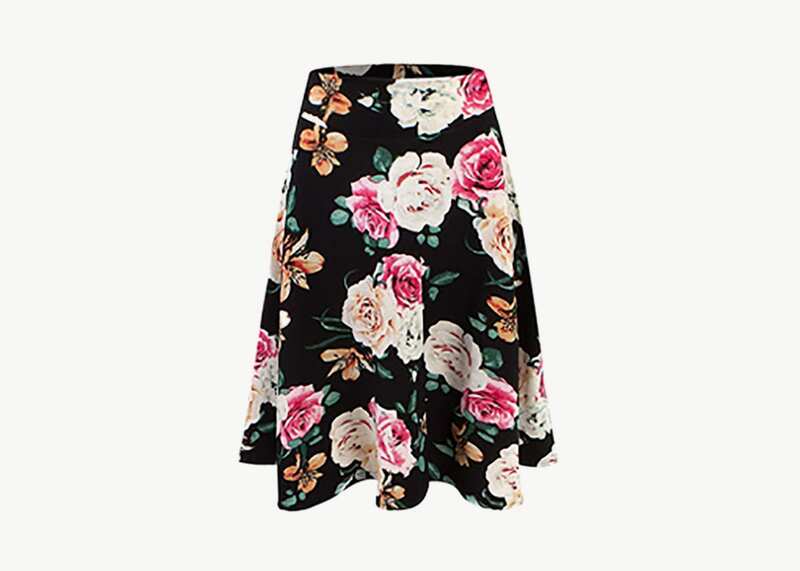 A chic A-line black knee-length skirt that has enough hidden features to, well, blow up your skirt. Heck yeah, that’s what a girl likes in a skirt. 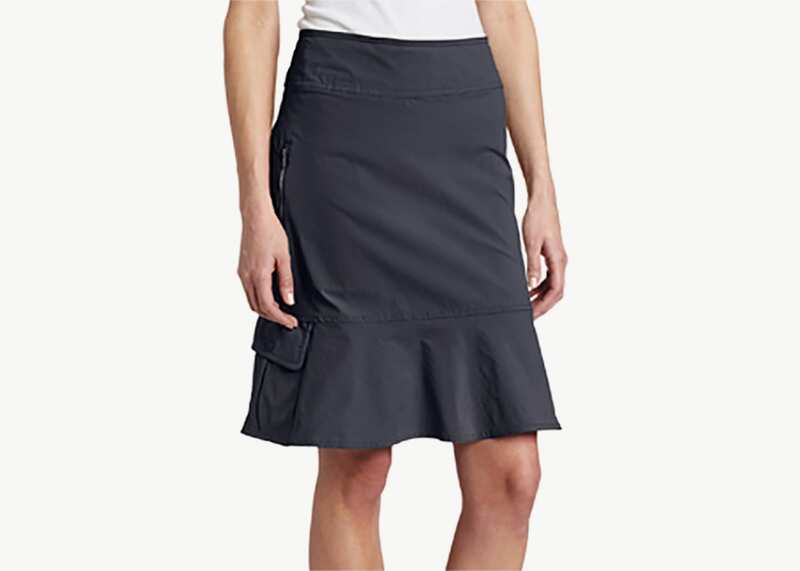 With this wrinkle-resistant skirt, you also get the enviable feature of two pockets. One is a zippered pocket on your hip. The second is a cargo-style pocket on the hem of the skirt. The fabric is stretchy, so it moves with your body. Thanks to the cute flair around the hem, it moves easily from day to evening with some heels and nice jewelry. 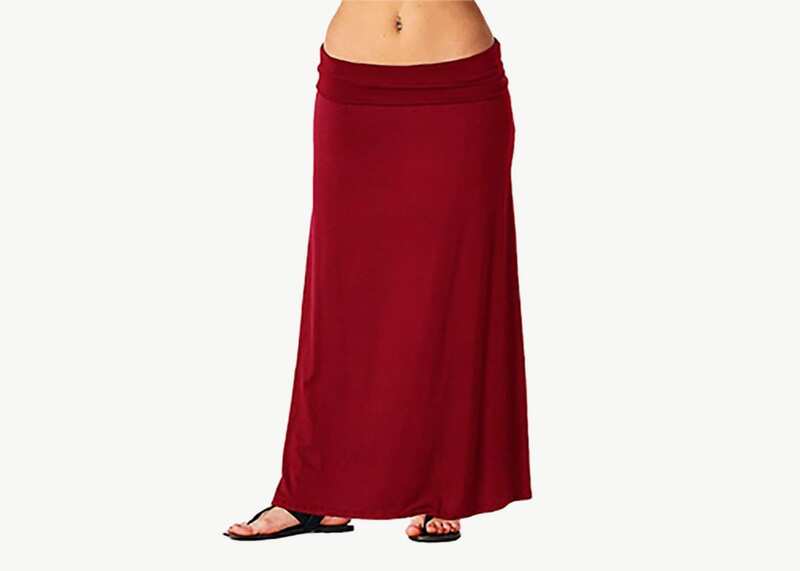 Amazon’s picky reviewers rated this skirt 4.5 out of 5 stars based on 500+ customer reviews. 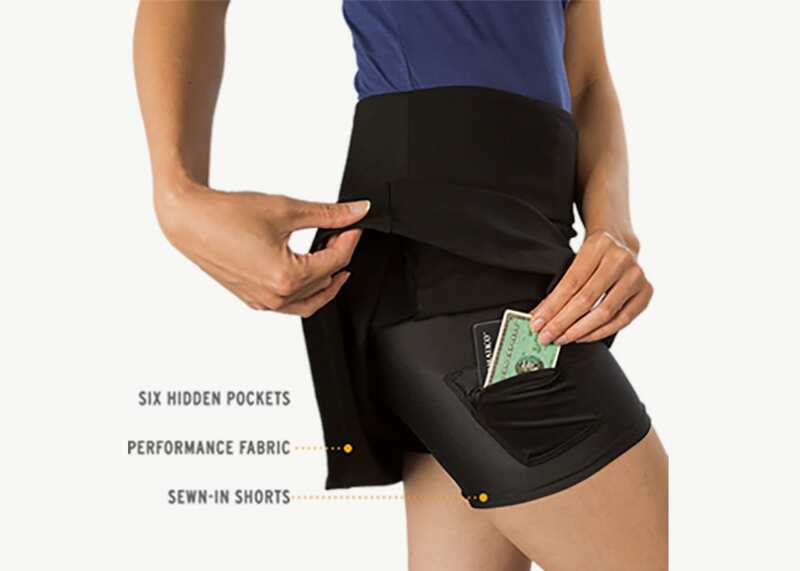 “Finally, a clothing company that understands that women want pockets too! 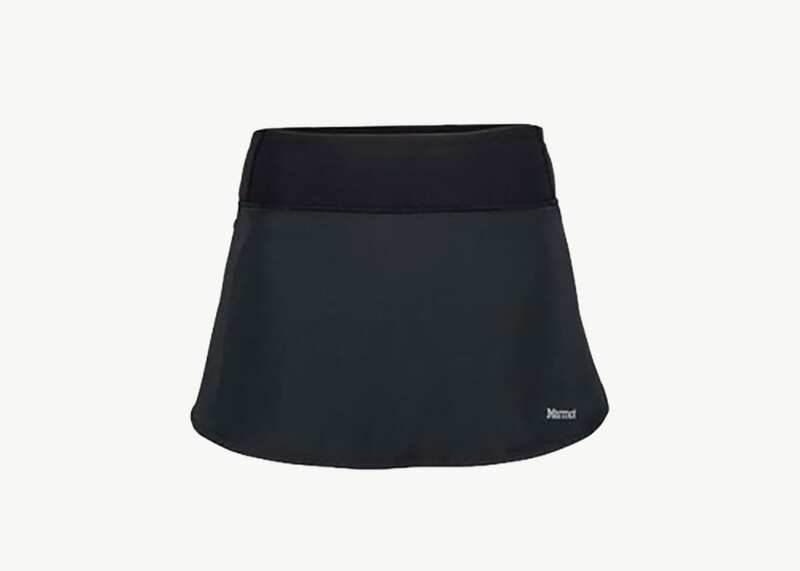 This wrap skirt is easy to pack (and tough to wrinkle), and it has five pick-pocket proof pockets to keep everything secure. The knee-length is long enough to work for most destinations, and the fabric has UPF 50 protection to keep you covered. The fabric looks like a normal skirt but it repels water and other liquids to help prevent stains. This A-line skirt has 4 out of 5 stars on Amazon based on 500+ reviews. It comes in 40 different colors so you’re sure to find one that suits you. 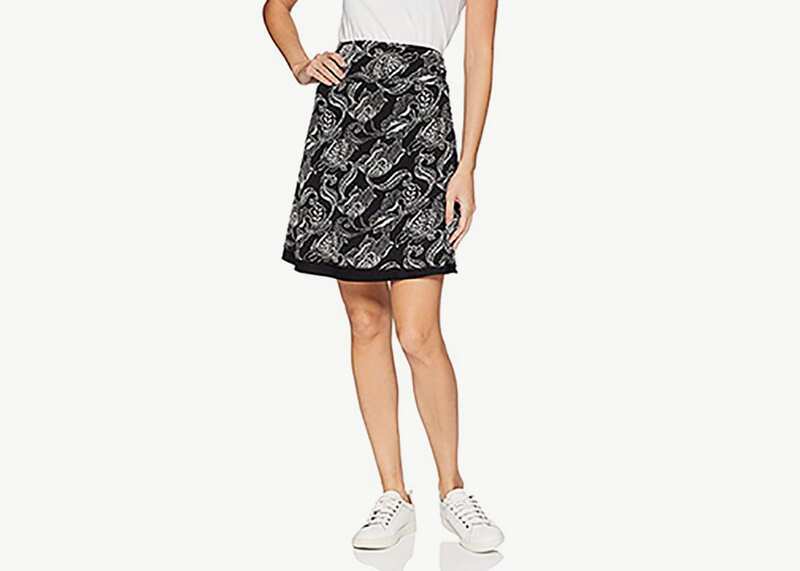 Snag a spandex jersey knit skirt that is reversible. So, you get two skirts for the price of one. 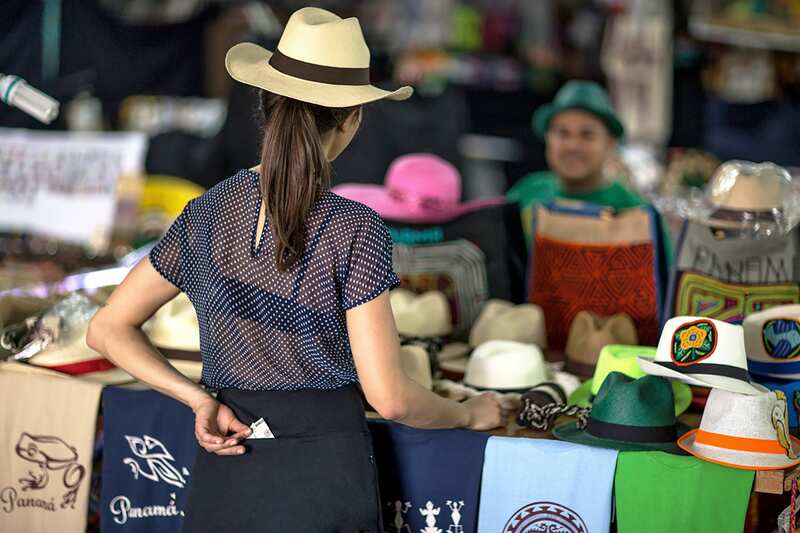 Thanks to its quick-drying capabilities, this skirt keeps you cool. Oh — and perhaps the best part — is this store is based in Canada, so if you’re American, you get an automatic (roughly) 25% discount thanks to the exchange rate. One garment, 8 different ways to wear it — this dress is a must-have for a cute, summer capsule wardrobe. It rates 4.5 out of 5 stars, according to 120+ reviews. This dress has popped up again and again in my research for versatile capsule wardrobe clothes. So much so that I’m considering buying one for myself.